This is it! The day that I’ve been waiting for (apart from my wedding day). I’m so excited because finally I will be able to experience Boracay. I’ve set my alarm yesterday night at 4:45am since our flight will be at 8:40am. We don’t want to miss our flight so as soon as the alarm went off, I automatically get-up and checked for any SMS from my friends who will be going ahead of us. Instead, I received a text from Cebu Pacific informing that our flight from Manila-Caticlan was cancelled! Immediately, I called their customer care hotline but to my dismay, I was put on queue! Dang! I’m calling from my mobile and I can’t stand being on queue. So I hurriedly text my friend whose already on the airport and she told me that indeed the flights were cancelled due to the runway issue in Caticlan. So instead of going to Caticlan, we were transferred to Kalibo and a shuttle transfer was arranged by Cebu Pacific to transport us going to Jetty Port in Caticlan. I immediately told this info to my aunt who will be joining us and I told her that we will meet her on Terminal 3. I wake up Hubby (who is by the way, slept at around 4am) and told him about the news and together we ate our breakfast and checked our things before going out to the airport. Hubby is carrying his ever reliable Jansport Backpack while I’m carrying an overnight bag. We arrived in Terminal 3 before 7am. My aunt’s boyfriend was there waiting for us inside the terminal and my aunt is not yet there. After 5 minutes, she came with a sling bag on her shoulders and a pretty heavy bag which I think exceeds 5 kilos. My aunt’s bf will be flying through PAL Express since he decided to join us a few days before the trip. Surprisingly, PAL has a direct flight going to Caticlan! How unfair! So we hurriedly check-in and press the Cebu Pacific agent if there are other flights where we can be transfer that is direct to Caticlan. We were told that the only flight that was bound to Caticlan on that day was the flight of my friends who were there at 5am. Lucky for them and they were able to board that plane. It left the airport at 5:30am or 5:45am. Bummer! We had no choice but to accept the fact that we will be going on a different route. We get our boarding passes bound to Kalibo from the agent, paid the terminal fee of Php 200 per person then have ourselves weighed together with our bags. We went through the scanning of baggage together with the slippers, shoes and belt (which is asked to be removed). After the long process, we are instructed to be at the gate assigned to us 30 minutes before the flight and so off we go to Gate 120. Since most of the seats are taken in front, we decided to stay at the back while waiting for our flight number to be announced. My aunt and I were busy chatting while taking pictures (sheepish grin). I had no idea what time is it when suddenly we heard our names being called in the PA system. Turns out that we are the only passengers waiting to be board on the plane! We hurriedly ran towards the stairs going out to the ground and into the plane (I was thinking that we will be going into a tunnel, but no). A ground stewardess was shouting at us saying “You’re the only passengers left. Hurry!”. Once we neared the plane, there are 3-4 passengers boarding and we thought that everybody was seated except for us. Good thing that we made it on time otherwise, our Boracay trip will be a failure. The flight was quick and you wouldn’t notice that you’re in airborne for an hour. We arrived in Kalibo at around 9:30-9:45am then searched for a Cebu Pacific agent who ushered us to the bus that will take us to Jetty Port in Caticlan. Thank heavens that the bus easily filled up by fellow passengers so after 10 minutes were hitting the road. For me it was a dizzy ride due to the zigzag roads and the fact that sometimes we have to slow down since there are trikes in front of our bus. The ride lasted for an hour and half. Talk about inconvenience and the time wasted for a bus ride. At Caticlan Jetty Port (it is the boat terminal going to Boracay and vice versa), my aunt’s bf was waiting for us. If I’m not mistaken, we arrived past 12 noon. Before boarding the boat, you have to pay the terminal fee of Php 50; environmental fee of Php 50 and the boat fare which is either Php 25(normal motor boat) or Php 30 (this is for the fast track closed boat). The boat ride takes about 15-20 minutes. Arriving at the Boracay Jetty Port there will be tricyles waiting for passengers. There are other people who will approached you and offer their accommodations. Since we already have one, we directly went to the tricycle and told him our destination which is D’ Talipapa. He charged us Php 100 (there are 4 of us). I believe ours is considered to be a special trip. Normally, the tricycles can load 8 passengers per trip. D’ Talipapa is nothing fancy but it’s clean and an ideal place for those tourists who wanted to maximize their money. It has souvenir shops, various eatery, bakery, wet market, pharmacy and sari-sari stores. We are supposed to meet my friends but since they are not yet there, we decided to have our lunch in Inasal. After 15-20 minutes my friends arrived and they joined us into a hearty meal. After satisfying our tummies (btw, the meals ranges from Php 70 – Php 200 depending on the viands), they lead the way going to our reserved rooms. They decided to get a place near D’ Talipapa instead of the original plan on reserving a place in Station 3. I was surprised to see a lot of houses and apartments all lined up one after the other while we are walking on our way to our rented place. I was picturing Boracay as an all beach, hotels and cottages/hut. We stayed at Cez Manor Resort which is right across from Sunset Beach Resort. 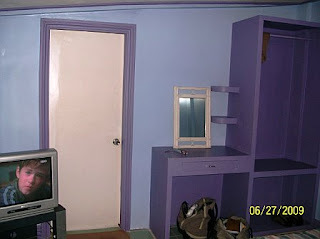 The rate per room is Php 1,100 which is good for 2-4 people. The room has AC, cable TV, hot and cold shower, cabinets/drawers and dresser. It’s a modest room which serves its purpose. We rested for a few hours after the grueling travel time and decided to hit the beach at 7pm. Cez Manor is only a few steps away from the beach front so it’s easy for us to take a dip on the beach anytime we want. My aunt and his bf want to have an afternoon snack. 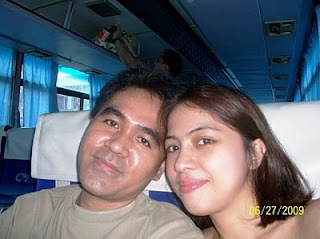 At that time Hubby was busy dozing off. Me, my aunt and his bf went ahead and explored the restaurants and bars along the beach shore. After the afternoon snack, we went back to our rooms and changed to our swimwear. A lot of people are busy having dinner or enjoying the happy hour at that time when we went to take a dip. Only a few people are seen swimming. I was thinking that the water is cold but it’s not! As the water gradually deepens, the warmer the water gets. Also, you will be surprised to see your feet under the water. The bottom of the sea is pure sand so you don’t have to worry of getting yourself hurt. You can run, walk and hop as you please. I told my husband that this is my kind of beach! Hehehe. We savor the water for an hour to two hours. After that, we decided to have our dinner which is near our rented rooms. I believe the name of the restaurant is Turo-Turo. The restaurant offers seafood and meat. You can select from the wide varieties they have and it’s up to you on how they will cook it. For grilled meals, price range is from Php 75-100+. Hubby ordered a grilled pork belly while my aunt ordered for a Prawn Tamarind Soup (Sinigang) and Grilled Snapper. The soup was delicious! My friends ordered Pork BBQ, Chicken BBQ and Fried Bangus (Milkfish). My aunt shared the Prawn Tamarind Soup since it was a big serving. The dinner really hit the spot. After a few chatters, we went on the beach front but this time to just wander around and discover anything as we walk along Station 2.
wow. i love the blow by blow account! you certainly look the Boracay beauty!! more pics please!